Since Dec. 17, 1989, when America first met Bart, Lisa, Homer, Marge and Maggie, no television show has influenced pop culture more than The Simpsons. Considered by many to be the greatest television show of all time, the series&apos; brilliance and longevity — 25 seasons and counting! — has changed comedy and defined American pop culture. The series will make history again Thursday when FXX will start an epic 12-day marathon of every Simpsons episode. That includes every "D&apos;oh!" Duff and "Aye, caramba" from the 552-episode run. Not many people have 12 solid days to spare, so here&apos;s a list of the 15 essential and memorable episodes you can&apos;t miss during the embiggen&apos;d marathon. While The Simpsons&apos; very first episode was the Christmas special "Simpsons Roasting on an Open Fire," its true origin came the following season with "The Way We Was." The throwback episode delves into what brought a mop-topped Homer and a feathered-hair Marge together on a fateful 1970s prom night. It also showcases Homer&apos;s mixture of foolishness and tenderness that caused Marge — and eventually most of America — to fall in love with him and the rest of the Simpsons. 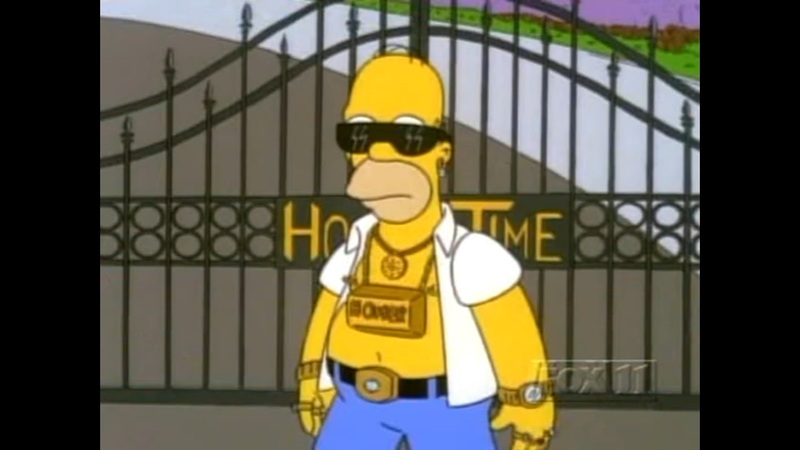 In 1991, the two biggest names in pop culture were The Simpsons and Michael Jackson, so the combination of the two in "Stark Raving Dad" made this episode an event. When Homer is committed for wearing a pink shirt to work ("Judging by his outlandish attire, he&apos;s some sort of free-thinking anarchist!" sneers Mr. Burns) he meets an inmate who thinks he&apos;s actually the King of Pop. Jackson — credited as John Jay Smith — is great in the episode, but it&apos;s essential because it sums up the early 90s craze for the pop star while telling a sweet note of a story. If you&apos;re a baseball fan and a Simpsons fan there&apos;s no greater episode. Not only did "Homer at the Bat" mark the first time The Simpsons beat The Cosby Show in the ratings, but it had some of the best baseball players in history playing bizarre satirized versions of themselves. No matter if it was Ozzie Smith getting lost in "Springfield&apos;s Mystery Spot" or Hall of Famer Wade Boggs getting knocked out in a bar fight with Barney over England&apos;s greatest prime minister ("Pitt the Elder! "), "Homer at the Bat" was nothing less than a home run. "People still come up and want to talk with me about &apos;Marge vs. the Monorail,&apos;" Conan O&apos;Brien told BuzzFeed about writing the episode, and it&apos;s understandable why. With its Music Man-esque plot of a con artist selling a defunct monorail to the good people of Springfield (via song no less!) to Leonard Nimoy&apos;s "cosmic ballet" ("Does anyone want to switch seats??") "Marge vs. the Monorail" is a madcap trip right to the heart of the Simpsons canon. The Simpsons had some great celebrity guest stars over the years, but the season four finale, "Krusty Gets Kancelled" is ridiculous. Johnny Carson, Hugh Hefner, Luke Perry, the Red Hot Chili Peppers and Bette Midler all try to help Springfield&apos;s most merchandized clown Krusty get back on the air. I mean, if you can&apos;t enjoy watching Carson balance two old men on his head while playing the accordion, then there&apos;s no pleasing you. Considered by many to the best episode in the series, "Cape Feare" somehow spoofs classic movies, does a production of "H.M.S. Pinafore" and still has time to add in one of the most painfully hilarious gags in the history of television (Sideshow Bob gets hit in the face by not one, not two, not three, but NINE rakes). The rest of the episode&apos;s plot of Sideshow Bob&apos;s attempt to murder Bart and Homer&apos;s attempt to understand his new alias ("Hello, Mr. Thompson." "I think he&apos;s talking to you ... ") are just added bonuses. The last candidate to go into space would be Homer, but in "Deep Space Homer" that happened in all its anti-gravity potato chip-eating glory. The episode is a fan favorite with many great lines, including Kent Brockman&apos;s mistaken welcome to our new insect overlords (a line that has since gone on to become a meme). It also somehow got the second man on the moon, Buzz Aldrin, to shout the line, "Careful! They&apos;re ruffled!" which is greater than anything Neil Armstrong could have ever said. 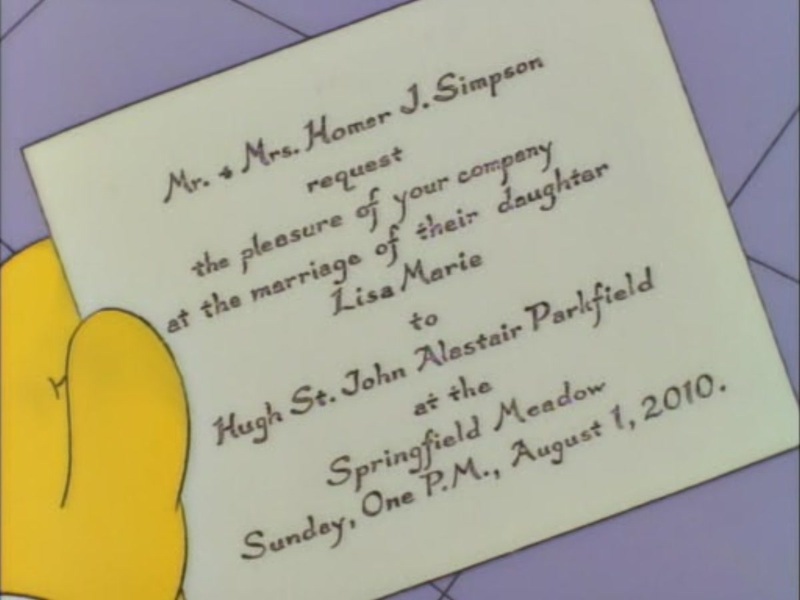 Set in the distant future of 2010 (the episode premiered in 1995), "Lisa&apos;s Wedding" introduces us to a world with the cable news channel CNNBCBS, and where a 23-year-old Lisa is set to marry an English socialite, Hugh Parkfield (Mandy Patinkin). Aside from all of the predictions about the future (some of which actually came true) the episode tells an incredibly sweet story about Lisa learning that while her family isn&apos;t perfect there&apos;s no real future without them. "Bart Sells His Soul" has all the delights of your standard Simpsons episode from Bart tricking fellow churchgoers into singing a 17-minute rendition of "In-A-Gadda-Da-Vida" to Moe opening up a family restaurant (with a deep fryer that can "flash fry a buffalo in 40 seconds"). However, it&apos;s also pretty deep. After Bart sells his soul to his buddy Milhouse he&apos;s forced to believe in the idea of a soul to get it back, showing that — like Bart himself — there&apos;s much more than laughs to The Simpsons. The annual Halloween special "Treehouse of Horror" has had many great installments, but the sixth is the best, thanks to the story "Homer Cubed." The final segment of the sixth "Treehouse" sends our beloved patriarch to a TRON-like world where he is now three-dimensional and computer generated ("Holy macaroni!"). For 1995, the effects still hold up and the episode gets even more scary when Homer is sent to the most horrifying dimension of them all: the real world. As the years went on, The Simpsons became less about the Simpsons and more about Springfield itself. "22 Short Films About Springfield" shows the colorful characters that make up The Simpsons world by giving us a quick glimpse into the lives of the rest of Springfield. This includes Principal Skinner trying to impress Superintendent Chalmers with his "steamed hams" to Chief Wiggum and the criminal Snake rolling into a send-up of Pulp Fiction. Springfield&apos;s first family is the reason we tune in, but it&apos;s the supporting cast that has helped the sitcom last 25 seasons. In "Homer vs. the Eighteenth Amendment" Homer loses his beloved Duff beer to the re-institution of prohibition. This causes him to go Boardwalk Empire on Springfield by opening up his own distillery and taking on the 1920s gum shoe Rex Banner. Away from all the boozing, the episode really pours on the laughter including one of best lines in the series, Homer&apos;s "To alcohol! The cause of ... and solution to ... all of life&apos;s problems." "The most complete episode ... it&apos;s just perfect," Ricky Gervais told EW about "Homer&apos;s Enemy," an episode that may be one of the darkest and most critical in the series. 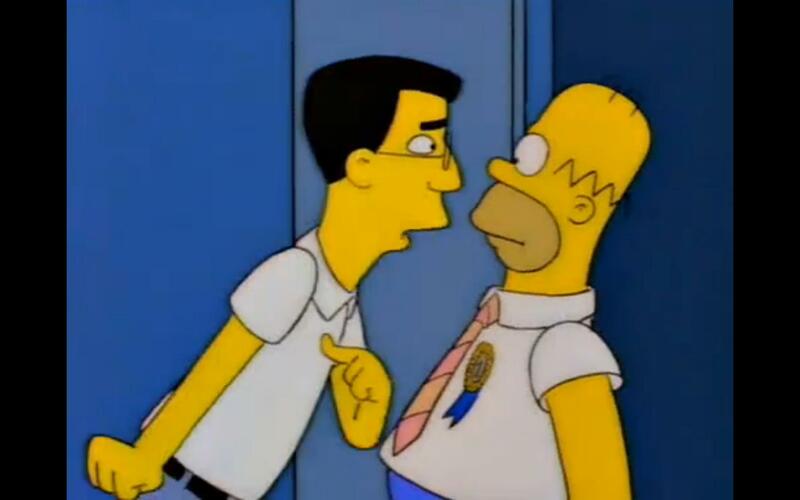 Homer is pitted against the very down-on-his-luck everyman Frank Grimes, who points out an ignored truth: That our lovable protagonist Homer is in reality an incredibly dangerous idiot. While the episode isn&apos;t as comedic as others, "Homer&apos;s Enemy" takes The Simpsons to a murkier place that forces us to ask ourselves why we love these characters so much in the first place. While being one of the best sitcoms ever, The Simpsons is also one of America&apos;s great satirical institutions, dealing with hot-button topics like the Second Amendment in "The Cartridge Family." The episode does a good job of showing both sides of the gun debate by mixing the allure and the absurdity of the issue (Moe turning five guns into one giant gun being a prime example). The episode is essential because it&apos;s a great example of how satirical The Simpsons can be while dealing with real world issues. The Simpsons are good at making fun of others, but they&apos;re the best when making fun of themselves. "Behind the Laughter" is a great example while also being a fun spoof of VH1&apos;s "Behind The Music." The episode examines the rise to fame of The Simpsons and does so with a smirk and wink to everyone who was saying the show was finished. "This will be our last season," Homer says at the end of the episode but obviously it wasn&apos;t. Why? Because The Simpsons will keep going as long as there are jokes to be made, even if the joke&apos;s on them.